With the snow season quickly approaching, the sled makers are ramping up new gear options for us. Arctic Cat provides stylish modular one-piece suits as well as warm fleece tops to wear under them. To spice up your sled’s performance, Cat’s race team engineers worked with Speedwerx to create a special “Hypershift” clutch kit. If you see something you like, be sure to swing by your local Arctic Cat dealership! 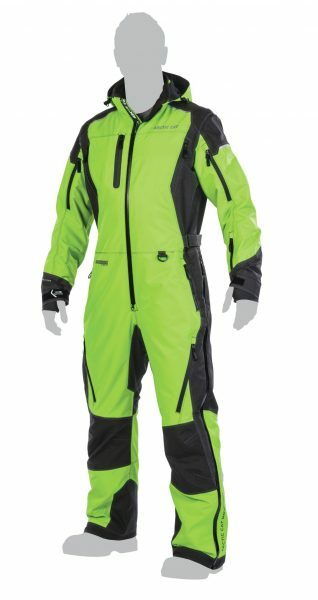 PRO MTN SUIT — Arctic Cat’s one-piece design is said to offer maximum mobility and lightweight comfort. Arctic Cat’s one-piece design is said to offer maximum mobility and lightweight comfort, especially for active backcountry riders. Its exclusive TriBalance construction features a 3-layer 20,000mm waterproof and 15,000g/m2 breathable shell fabric with mesh lining and fully taped waterproof seams to deliver maximum dryness in all conditions. For fit, the suit features an adjustable interior suspender system and waist belt that pair with a stretch back and waist panel. Key features include a removable hood; inner Lycra ® sleeve cuff with thumbhole; full-length size zippers; a Sno-Lock leg cuff that prevents snow infiltration; and zippered vents on the chest and back. 3M ™ Scotchlite ™ Reflective Material and soft collar lining complete the full-integrated design. The suit is available in Black (P/N: 5270-60_) and Lime (P/N: 5280-45_) colors in XS to 5XL sizes. Pricing is listed as $499.95 U.S./$749.95 Canada. HEAVYWEIGHT AIRCAT FLEECE —The new men’s and women’s Heavyweight Aircat Full- Zip Fleece tops provide maximum comfort and performance as a riding layer or by itself. For comfort and warmth or just plain “stylin’” après-snowmobiling, look to Cat’s newest Aircat fleece tops. The new men’s and women’s Heavyweight Aircat Fleece Full- Zip provides maximum comfort and performance as a riding layer or by itself. It’s constructed from ultra-soft 100 percent polyester brushed microfleece for warmth, comfort and moisture wicking. Flat-lock stitching prevents bulk for a more comfortable fit and performance. An adjustable pull-cord and cordlock at the waist allow a custom fit with dual zip hand pockets offering extra storage space. Available in S – 4XL sizes the Men’s version (P/N: 5283-19_) retails for $64.95 U.S./$97.95 Canada. The Women’s version (P/N: 5283-20_) is available in XS – 3XL sizes and carries a suggested retail price of $64.95 U.S./$97.95 Canada. HYPERSHIFT CLUTCH KITS — Arctic Cat backed Speedwerx Hypershift Clutch Kits were developed for and tested by Team Arctic racers to deliver smooth, hard-pulling acceleration with optimal back-shifting and throttle response. The performance-minded Cat rider can experience the championship-winning tuning and performance of a new Arctic Cat backed Speedwerx Hypershift Clutch Kit. Developed for and tested by Team Arctic racers, the kits deliver smooth, hard-pulling acceleration with optimal back-shifting and throttle response. Cat notes that some snowmobile models may see increased top-speed. 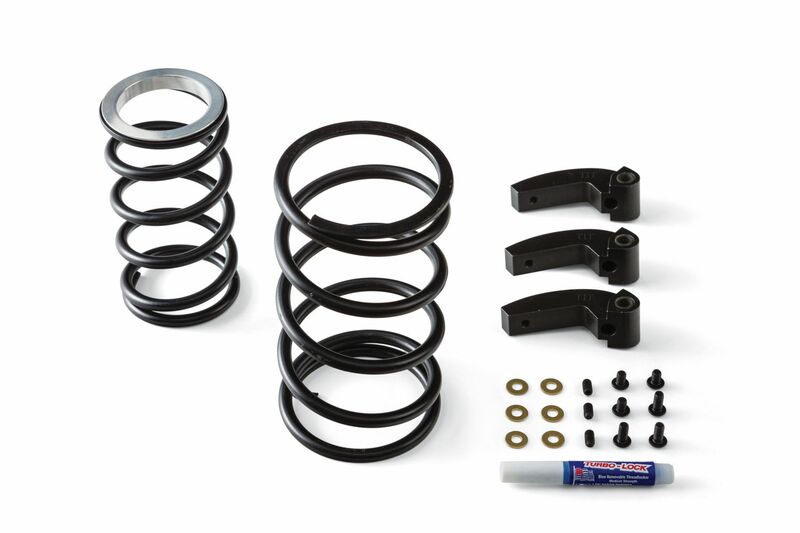 Kits vary by application, with most featuring adjustable machined weights, H5 alloy drive and driven clutch springs, and a custom-cut helix. These kits are custom-tuned for many 2018 6000 and 8000 series ZR and M snowmobiles, as well as 2017 8000 series ZR and M machines. Pricing ranges from $299.95 to $399.95 U.S./$453.95 – $604.95 Canada.